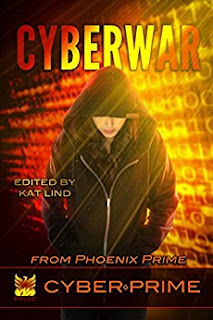 Ripped from the headlines – this anthology contains stories that explore the situations and dangers of the interconnected world of cyberspace. It shows areas that resonate with our deepest fears and scariest nightmares. Explore the intriguing world of the digital age and the imaginative stories of the Phoenix Prime authors. The writers that contributed their stories to this anthology are ones that have the ability to see into the dark and light places of human souls and how that blends with our cyber world. They have written stories that show us the flaws that make us human and the joy that make us more. Free with KU! My story features a character you’ll see again in When Sirens Screech!